Yes, you read that correctly: TWO ingredient cookies! The recipe can be found here at Power Hungry. They are SO yummy, and so deliciously healthy! I have added Enjoy Life Vegan Mini Chocolate Chips to some and they were SO GOOD! I also made some with raisins and cinnamon. You can add whatever you want, or eat them plain! 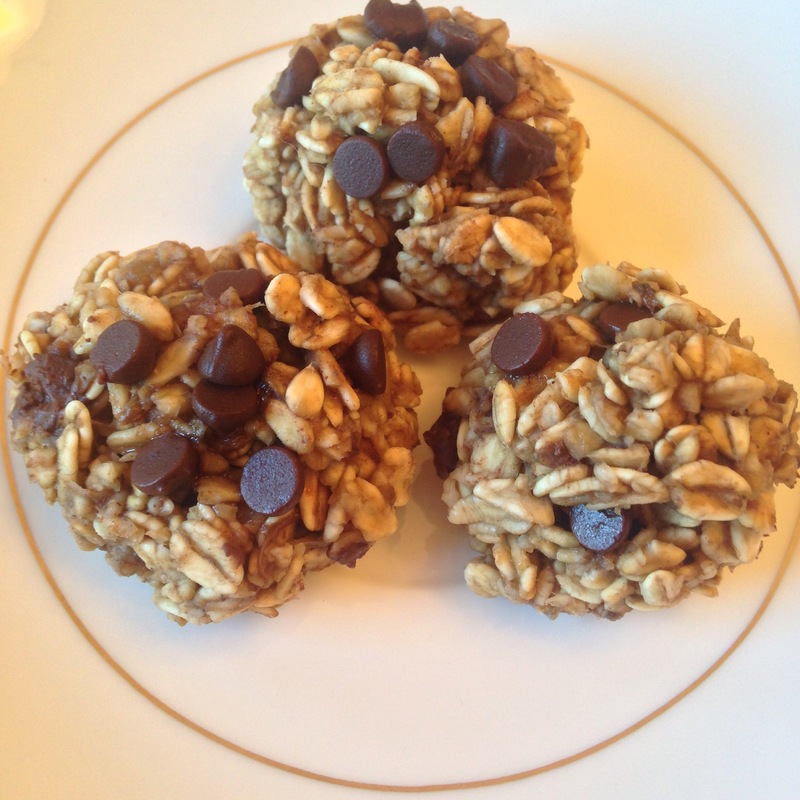 You really can’t find a healthier or easier vegan cookie recipe than this! ⭐️👉Have a product, recipe, or cookbook that you want me to review? Comment below with the link, or e-mail me at: happyhealthynoms@gmail.com! Until next time, remember: Have your veggies and eat your cookies too! Posted on October 8, 2015 by LoreScarletPosted in Review Thursday, UncategorizedTagged cooking blog, fit, fitness, fitspiration, food, food blog, foodie, health, healthy, healthy blog, healthy food, healthy recipes, nutrition, superfood, superfoods, vegan, vegan blog, vegan food, vegan recipes. Previous Previous post: Writing Tips Wednesday: Something To Help You WRITE! Next Next post: A Natural Anxiety Remedy You Haven’t Thought Of!